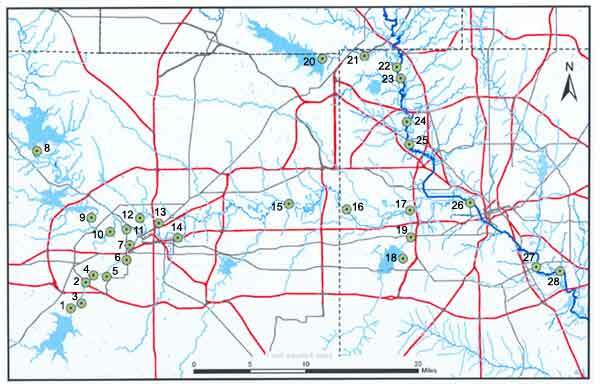 This page identifies public access points to the Trinity River system, listed by stream or tributary. Note: Fish consumption bans advisories are in effect for much of this area. Check the box below for details. Clear Fork of Trinity River from Benbrook Reservoir dam and West Fork from Lake Worth dam, including main stem of the Trinity downstream to US 287 bridge. Anglers are advised not to eat any fish caught in this area. Mountain Creek Lake in Dallas County. Anglers are advised not to eat any fish caught in this lake. Lake Worth in Tarrant County. Persons should not consume blue catfish, channel catfish or smallmouth buffalo from this lake. For details on these and other Texas consumption advisories, visit the DSHS Seafood Safety web pages.